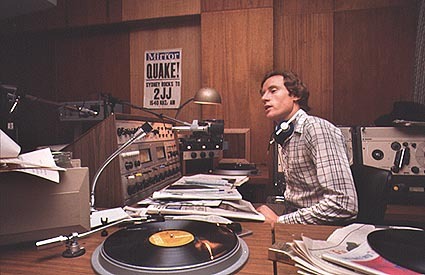 2015 marked 40 years since Double J commenced broadcasting on 19 January 1975 at 1540 khz on the AM band. The radio station opened with a bang with the Skyhooks' You just like me 'cause I'm good in bed. The small studio in Sydney's Kings Cross from which 2JJ broadcast may have at first appeared unremarkable, but its announcers were enthusiastic, the playlist aimed to support the diversity of the Australian music scene, the pioneering news and current affairs coverage explored the realities of young people's experiences in Australia, and it was clearly focused on developing a dedicated space for young people to engage in and with the media. These beginnings have shaped young people's participation in the media ever since. Dr Liz Giuffre has trawled the archives to give us this refreshing cut on the genesis of Double J, interweaving original material and her personal observations as a self-declared Double (and Triple) J devotee. She does so in a way that not only captures something of the times and the place that Double J has come to hold in the lives of many hundreds of thousands of young Australians, but also stakes a claim for Double J’s enduring significance. On 19 January 2015, Dr Liz Giuffre, media and popular music historian from the Centre for Media History at Macquarie University speaks at a public forum at the Whitlam Institute within the University of Western Sydney to mark the 40th birthday of 2JJ.